Dr. Stager is the Director of Adolescent Medicine at MetroHealth Medical Center. Dr. Stager is involved with training the next generation of Pediatricians, a researcher, a clinician-educator, and an official spokesperson for the American Academy of Pediatrics. 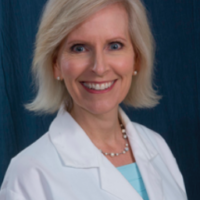 She is the past President of the Women Faculty Organization at Case Western Reserve University School Of Medicine, and the Past Chair of the Department of Pediatrics at MetroHealth Medical Center. Her main area of interest at this key time is advocacy for her patients, especially reproductive healthcare, and access to affordable healthcare for all. Dr. Stager has extensive experience with the media and is available to train fellow women physicians in advocacy and media training.